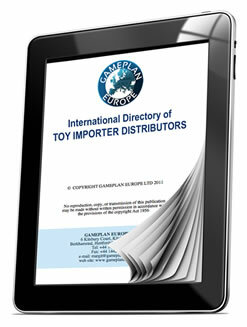 Identify over 800 leading importer-distributors and check which ones are most appropriate to sell your range. By looking at which brands and categories they sell already and if they do TV advertising, focus your search on the most suitable prospective partners. These are companies which import and sell branded toys for other manufacturers. They buy the product, warehouse, and sell on. In most cases they have the exclusive rights for their country. These are companies which have a license for a particular category for a particular character license. They either arrange manufacture themselves, or buy from another licensee in another country. These companies import and sell products without any territorial exclusivity. These companies sell on commission and do not handle goods. The orders are processed and shipped directly from manufacturer to retailer.